With one brisk announcement, “the mightiest woman in Europe became a proverbial lame duck,” said Joachim Dorfs in the Stuttgarter Zeitung. 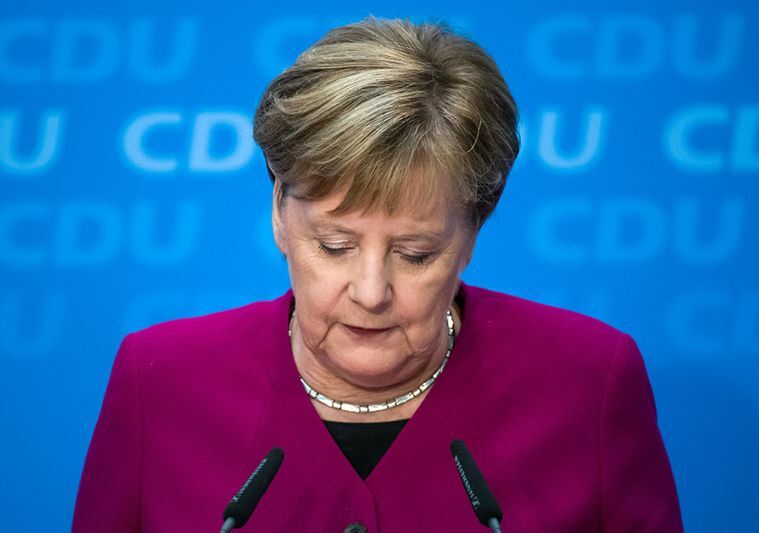 After her center-right Christian Democratic Union party suffered its worst election result since 1966 in the wealthy, central state of Hesse this week, Chancellor Angela Merkel said she would step down as CDU leader this December and would not seek re-election as chancellor in 2021. The normally stoic Merkel, 64, looked almost happy as she announced her impending retirement after 13 years as Germany’s leader and 18 years as CDU chief. “Get ready for the time after me,” she said. In essence, Merkel quit before she could be fired. Her party power base has eroded, and her lawmakers recently ousted her longtime ally Volker Kauder as the conservatives’ floor leader in the German legislature. The Hesse election, like the one in Bavaria two weeks ago, showed that the CDU and its allies are bleeding voters, not only to the far-right Alternative for Germany (AfD) but also to the leftist Greens. Merkel says she is “willing” to stay in office until 2021, said Jürgen Kaube in Frankfurter Allgemeine Zeitung. But now that her grand coalition with the center-left Social Democratic Party is faltering, it’s likely that she will be replaced in early elections next year. Supporters and detractors alike will miss her “completely scandal-free,” fair, and democratic leadership. She’d be great in the ceremonial but morally important post of president—and in 2022, that position will be open.